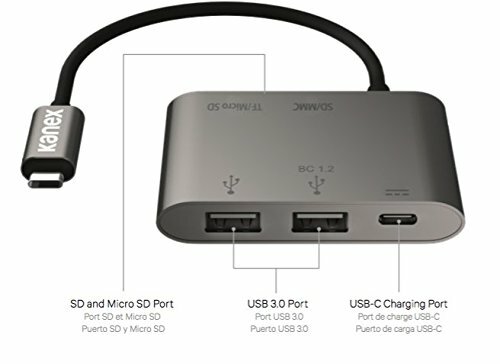 Add 2 card reader ports and a USB port to your MacBook while simultaneously charging. 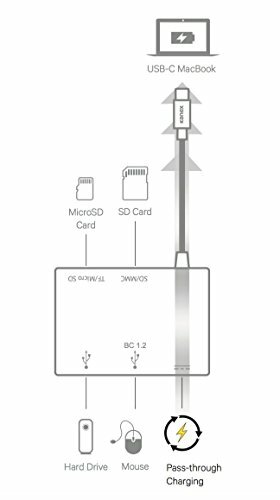 The Kanex USB-C USB-C Card Reader Adapter with Power Delivery allows you to access your photos and connect existing peripherals such as printers, hard drives, your mouse or flash drive - even charge and sync your iPhone. With data transfer speeds of up to 5 Gbps and a compact portable design, this versatile adapter will become an essential tool to your everyday workstation. If you have any questions about this product by Kanex, contact us by completing and submitting the form below. If you are looking for a specif part number, please include it with your message.